I should be packing a suitcase right now. My mother-in-law (we'll see if she is reading this) is expecting us in Emerald Isle for our Thanksgiving holiday, and she made fun of us at Liza's Frozen Party last week because we take our Southern, sweet time when we leave for a trip. Once again, I'm running late. I could not leave town without wishing everyone a Happy Thanksgiving! Without you, I could not follow my passion of writing. I am thankful and appreciate you taking time out of your busy life to read my posts. 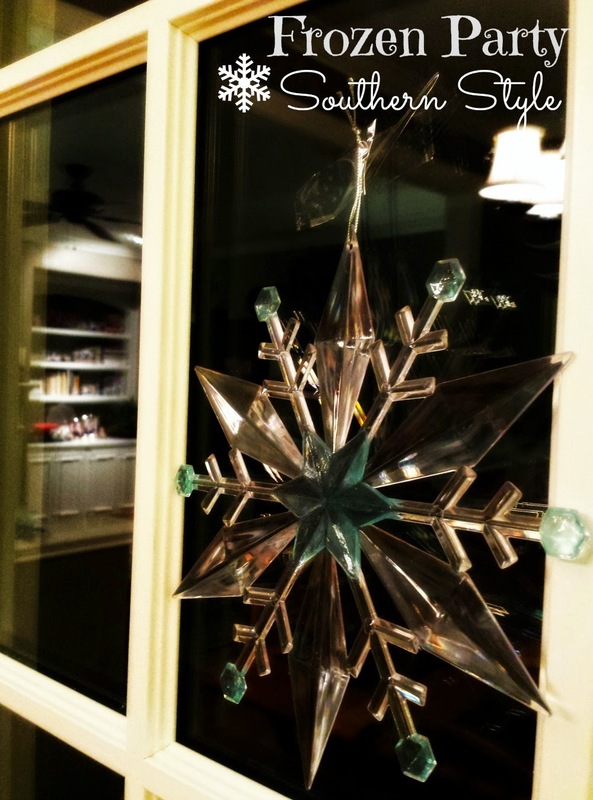 I wanted to blog today to have you remember one thing after the Thanksgiving holiday. Please remember to shop local this holiday. 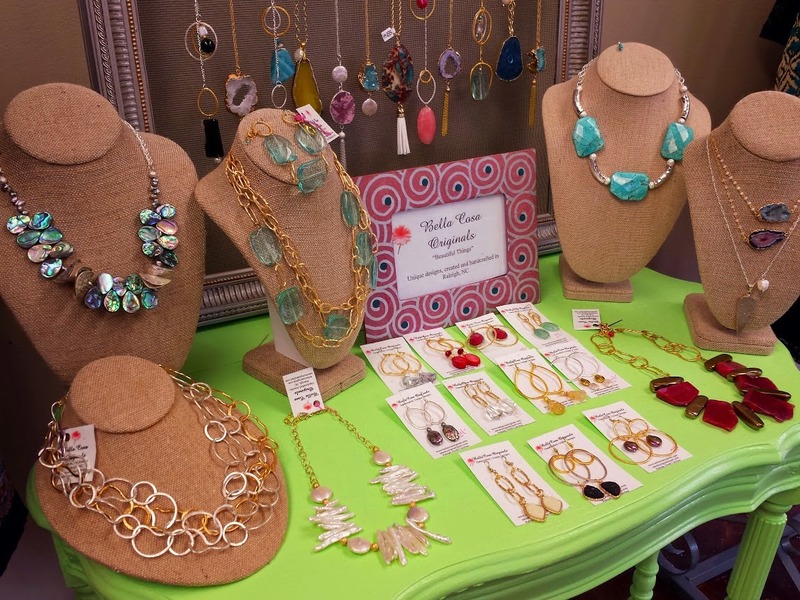 Small Business Saturday is Nov. 29. Since I've been writing for Visit Raleigh, I've had the wonderful opportunity to visit many small businesses. 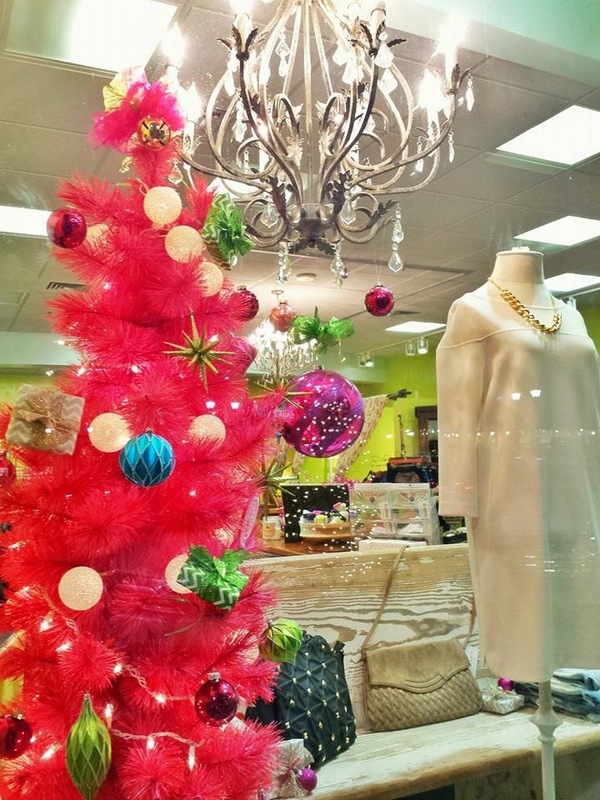 From Apex to Garner to Cary to boutiques in Cameron Village and North Hills, remember to support your local merchants this holiday. The same concept is true to eating local. Support our local restaurants, bakeries, coffeeshops, breweries,distilleries, and farmers. 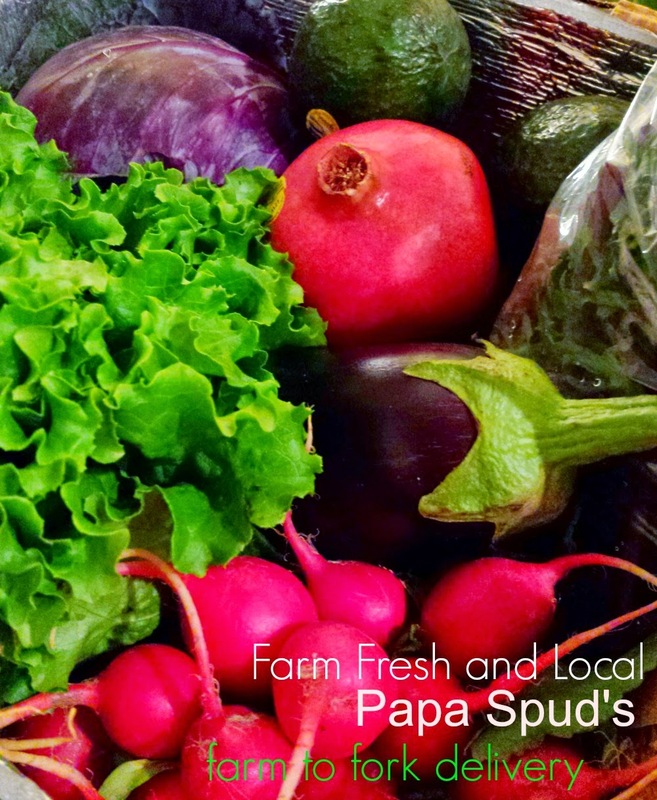 Remember, I do have a discount on the blog for Papa Spud's, a farm-to-fork delivery service using local farms. The discount expires on Nov. 30. 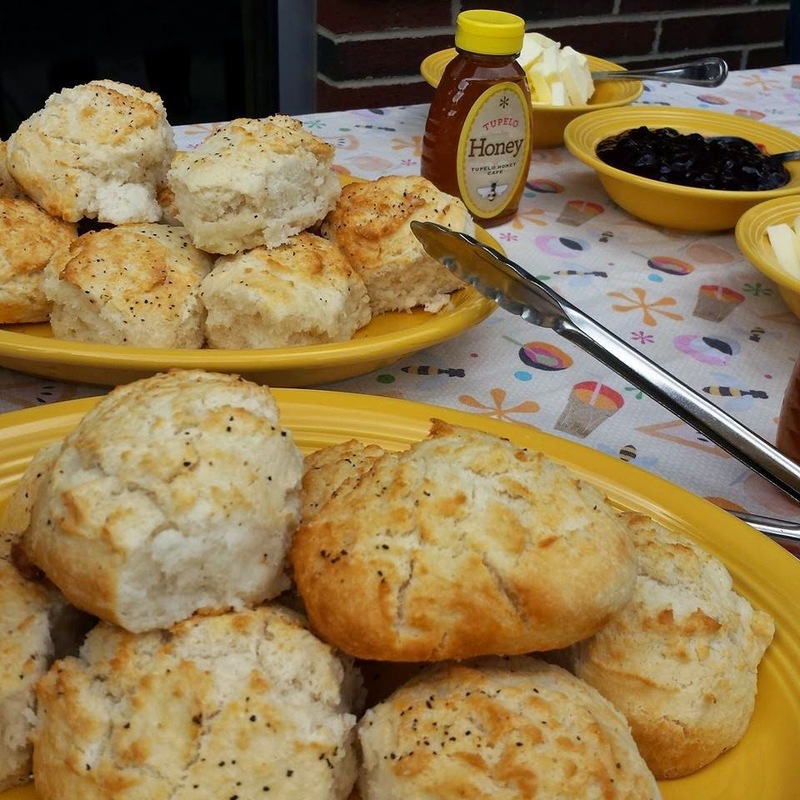 Tupelo Honey Cafe opens in Cameron Village. I've got that story on Examiner.com. You all know I'm a big advocate of North Carolina. 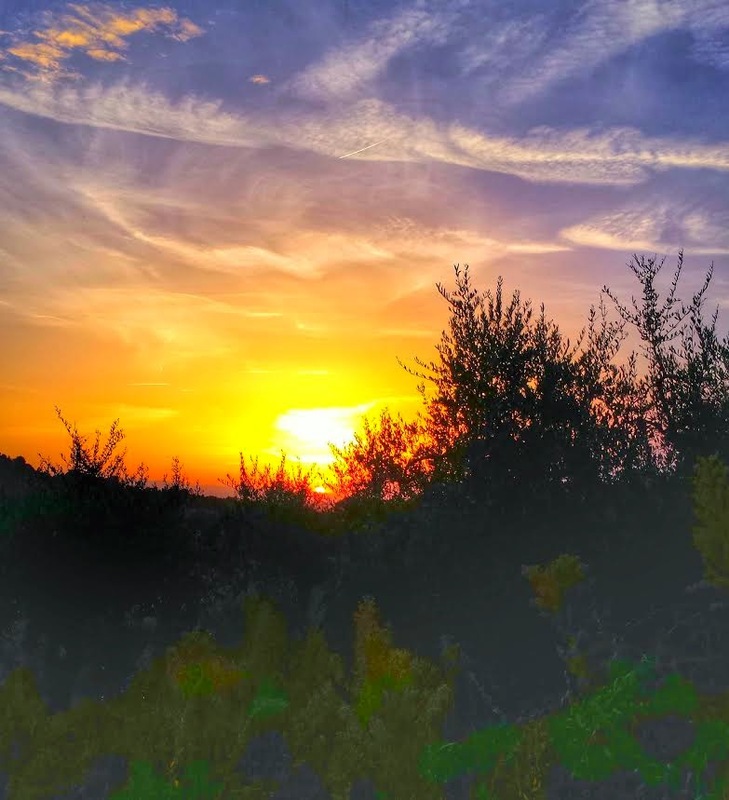 I've joined the N.C. Blog Network, and it's connected me with some great reads from other bloggers in North Carolina. You'll see my sharing more of the content I find on Pinterest, Twitter, and all those other social media sites the coming year. If you love to eat farm-to-table, I want to introduce you to my friend, Stacey from CookEatLife. She and I had coffee for two hours the other day after an event. She takes local ingredients and creates simple, delicious meals. 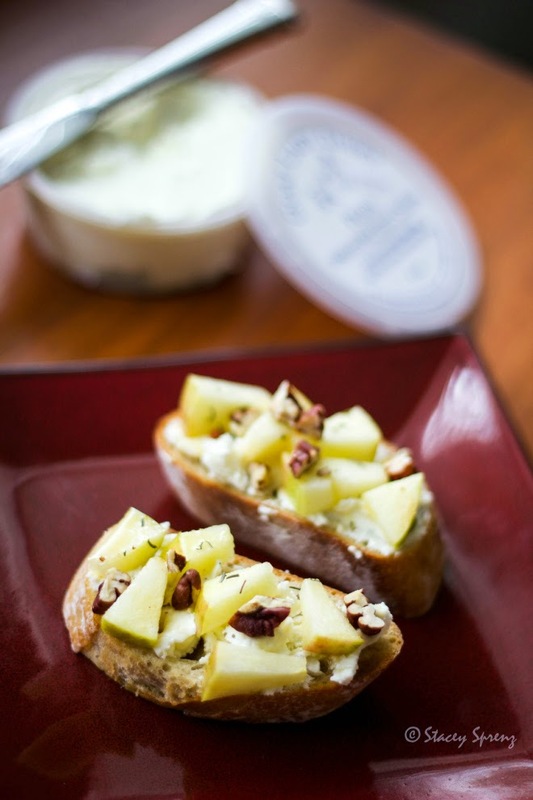 She's taken local, N.C. ingredients and has created a wonderful recipe for fall entertaining. And finally, pamper yourself locally. 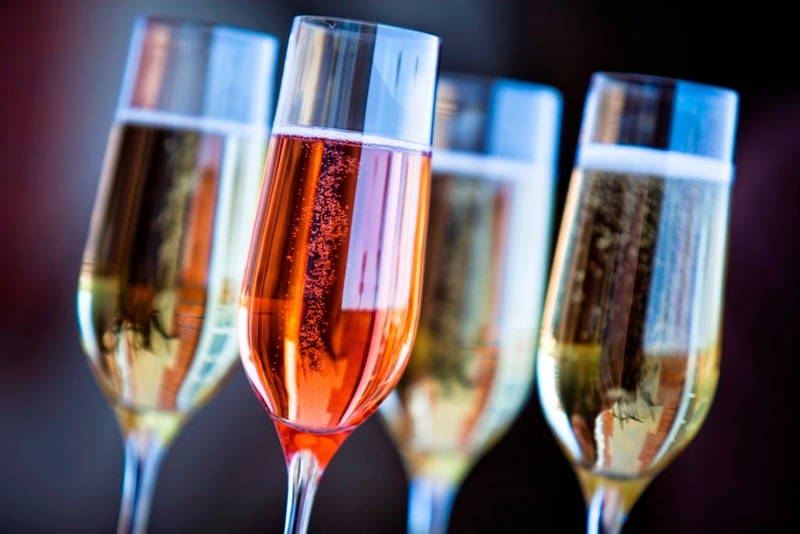 Go to the Washington Duke Inn for afternoon tea or Sip into the holiday season with bubbles. Enjoy a drink and see the gingerbread display at the Carolina Inn. Indulge in a winter spa treatment at the Umstead Hotel and Spa. Pomegrante white tea, and fig will soothe your skin. Special winter treatments start Dec. 1 to Jan. 31, 2015. 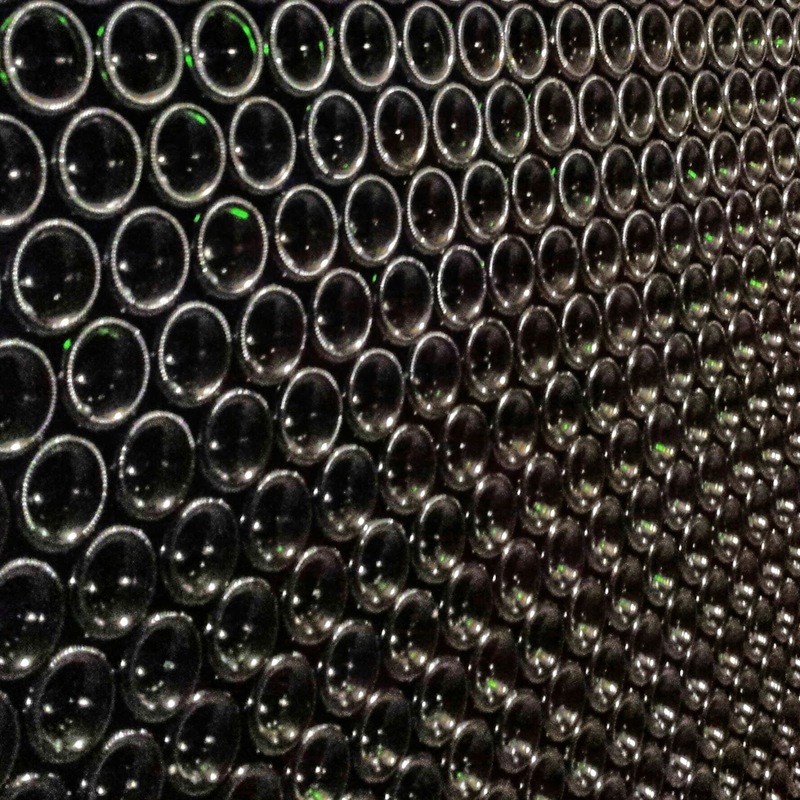 Take a wine class with Hai Tran there. Experience all that our area has to offer. You don't have to go on vacation to have a great time at a hotel. Live life to the fullest....LOCALLY. Tweet or share this post using the hashtag #ShopSmall. Support small businesses this holiday. I think I may do something life-changing with my eating habits. Many people have already made this change and are loving it. I have always been intrigued with the concept of farm-fresh produce being delivered to my home on a weekly basis, but then I saw a person on Facebook post, "Need help. 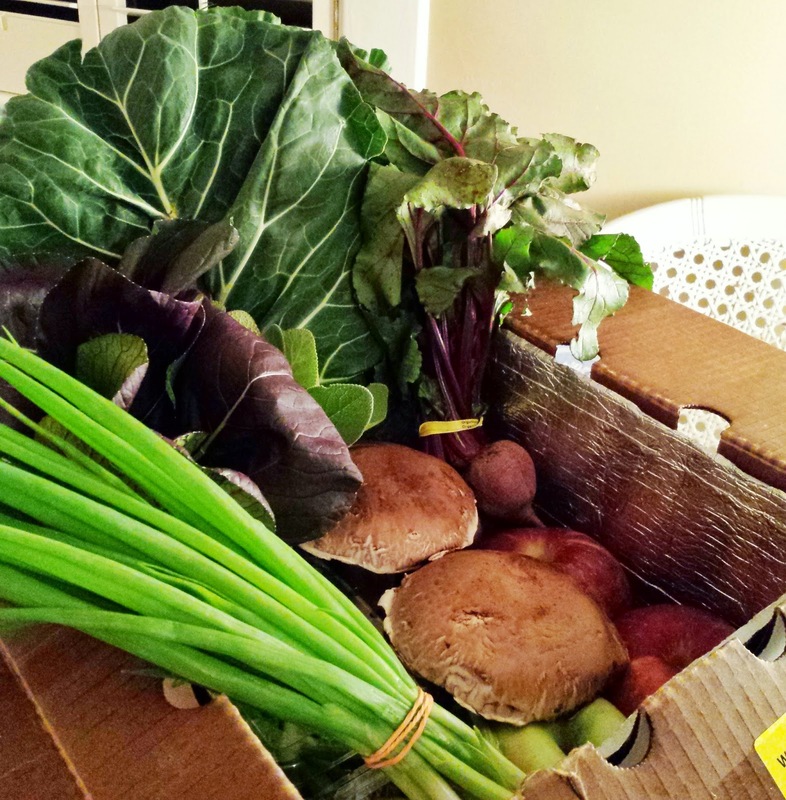 I just got a bunch of collards in my box, and I don't know how to cook them." Don't get me wrong. I love collards, and I love them even more with some vinegar on top. However, that social media post made nervous. I was afraid I would get something in a box that I didn't want or not know how to cook. Then what? Is that money wasted? Yes, the thought of farm to fork delivery service appealed to me, but I'm not really a true foodie. I love to eat farm-to-table cuisine when Chef Colin Bedford cooks it. 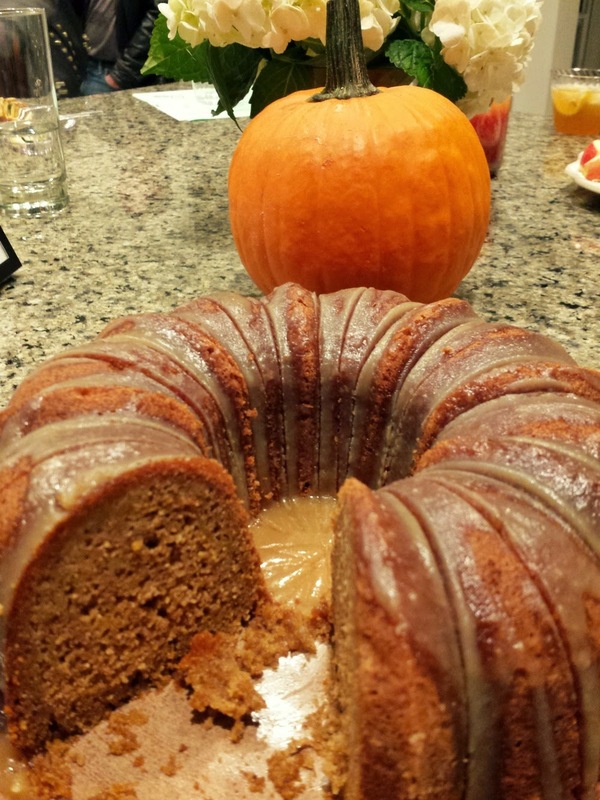 But, do I have the skill to take a pumpkin and turn it the best pumpkin cake ever? But, Papa Spud's showed me that when you eat farm-fresh, the taste can't be beat. Let's just say that the pumpkin cake was the best pumpkin anything I have ever tasted. 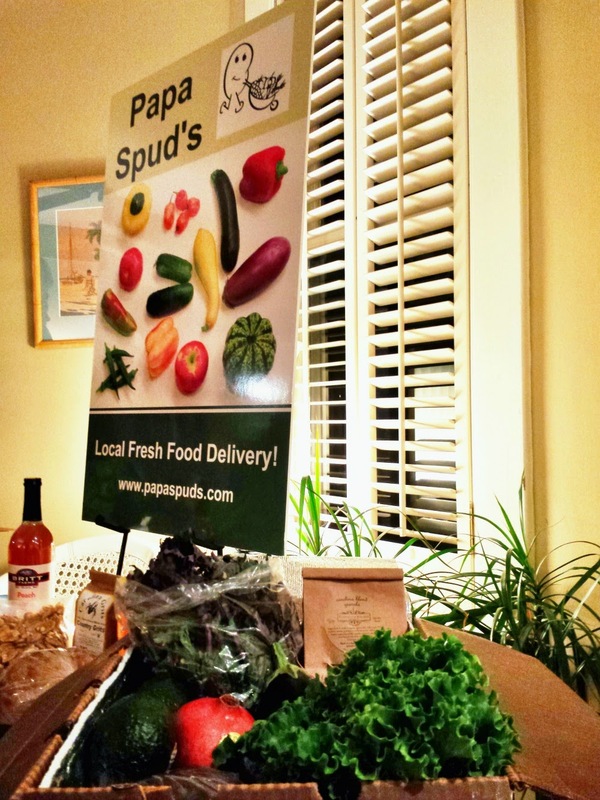 Last week, I went to an information session hosted by Papa-Spud's, the Cary-based Farm to Fork delivery service. Founder, Rob Myer, spoke about why he started this business. It's simple Food tastes better from the farm, and buying from local farms helps our farmers stay in business. He talked about how produce travels for days before reaching the grocery stores. A fruit's taste will change by the time it reaches the consumer. And interestingly enough, I had purchased some raspberries from a grocery store the day before this event. While he was speaking, I thought about those raspberries riding down I-40. I kid you not. The next day, those raspberries were like mush. I basically had to throw them out. As I was throwing dollars down the trash in the form of mushy raspberries, I thought of Rob's presentation, and wondered just how long those grocery store raspberries had been traveling around. With Papa Spud's, you can tailor your own produce box. If you don't want collards then you don't order collards. The Papa Spud's blog includes recipes, which I certainly need, but with the Internet now, any recipe is at your fingertips. And best of all, you can transfer your credits over to the next month, if you don't use all of your credits in one delivery. Buying from our farmers help their income throughout the year. Food is fresher. Let's face it. Having food, meats, and cheeses delivered on your doorstep is also kind of luxurious. I think Papa Spud's may be for me. I've not yet signed up because I didn't know if I should do it before the holidays, but that may be the perfect time. I'll be home most of December, and it will be a good time to get started. There is no risk involved. If you are not happy, you can cancel at anytime without penalty. I also looked at a price list. Some items cost less than what you buy at a grocery store while other items may be a few cents more. I found the pricing to be affordable. For example, I buy a lot of red peppers. Liza eats them as snacks. At Harris Teeter last week, they were $2.99 each. At Papa Spud's, the going rate was $1.50 that week. It is sweet potato season right now. 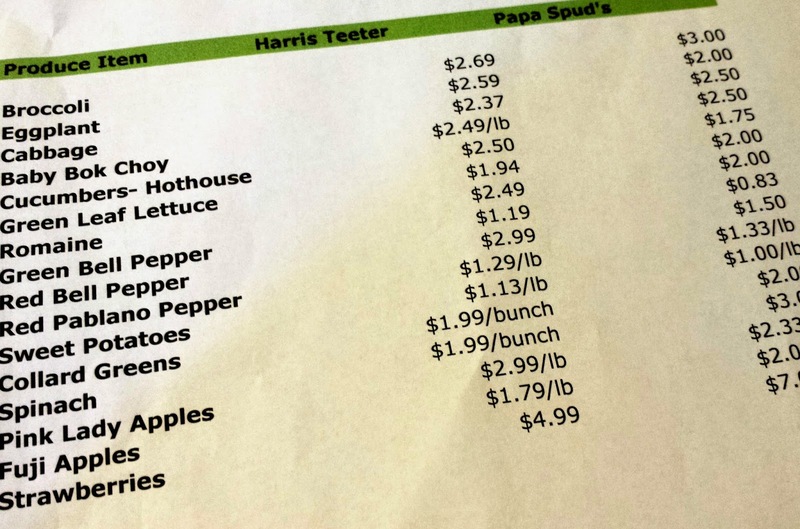 Harris Teeter priced potatoes at $1.13 a pound whereas Papa Spud's sweet potatoes came in at $1.00 per pound. Broccoli at Harris Teeter was $2.69 whereas broccoli that week at Papa Spud's, broccoli was $3.00. In most cases, Papa Spud's was either cheaper or very comparable. Rob knows affordability is very important to families, as well as convenience. Papa Spud's delivers throughout Raleigh, Durham, Chapel Hill and Wake County. 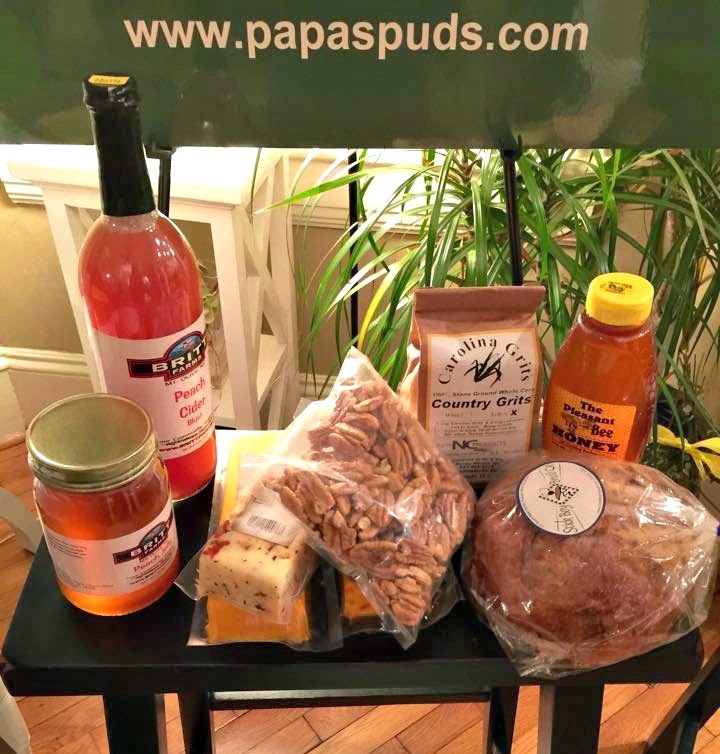 Visit Papa Spud's and change the way you get groceries. This is my referral link because I'm now a customer. If you join this service, let me know and be sure to tell me what you will be asking for in your box. There are over 200 items available , including baked goods, cheese, and honey. I think using this service will help me learn to eat what is in season like farmers intended for all of us to do. Disclosure: I had a few free fabulous fall cocktails mixed by Ilina Ewen of the blog, Dirt and Noise and longtime, Papa Spud's customer. It was a great party, and all the food came from one little box. I ate well. So well, that it convinced me I should try it, too. I will receive customer credits to my account if you choose to use the service. 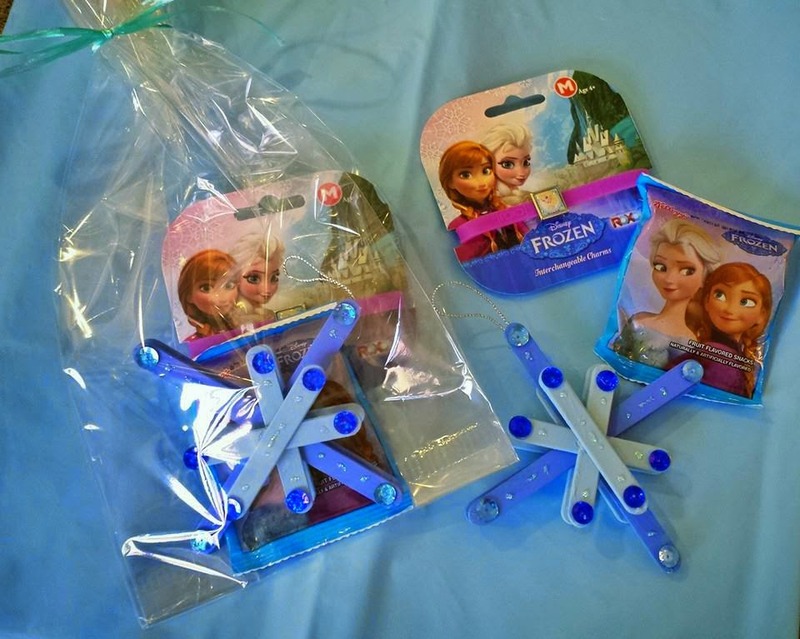 With the recent American Girl trip to Charlotte, and a Frozen-themed birthday party this past weekend, life has been all about Liza lately in the Hines house. 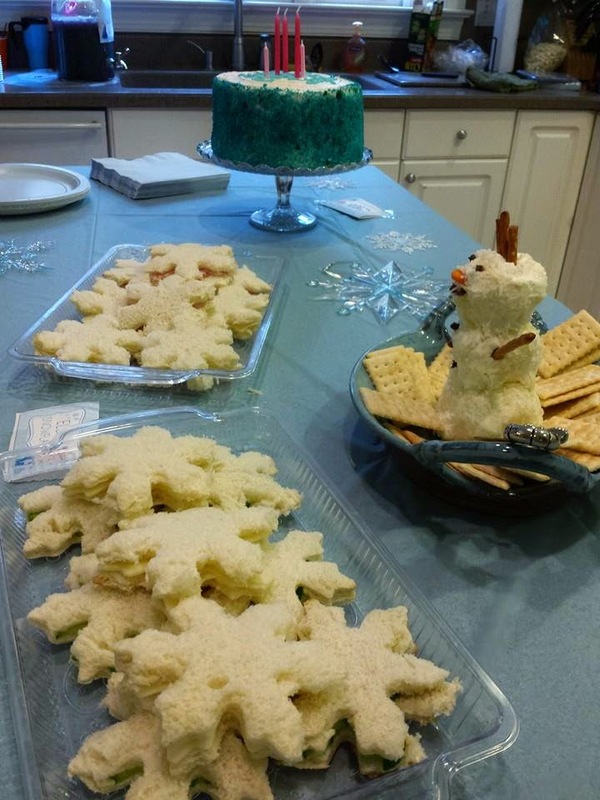 I put all of my writing assignments on hold because I was up to my eyeballs in Frozen party preps. My parties usually consist of making the kids go play while I have a cocktail with the adults. But, when you are entertaining preschool friends for a child's birthday party, crafts and activities for the little guests are put ahead of adult cocktails and socializing. Beth, a friend of mine, who loves to do crafts was my secret weapon for this party. We made a great team. I gave her some ideas, told her to make a list of what she needed, and I would write her a check for the amount of money she spent.. It was the best party planning ever. Beth thinks that she will make me crafty one day, but it's just not in me unless it involves food, and can be edible or drinkable. 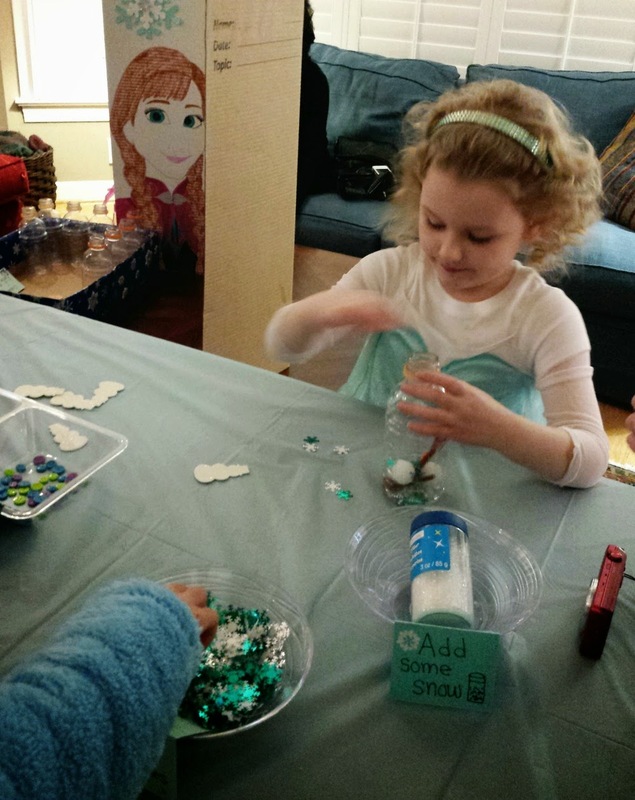 The girls did two crafts during the two-hour party. They built snowmen in a bottle. The end-result was a floating snowman snow globe. I think the girls had a good time with it. 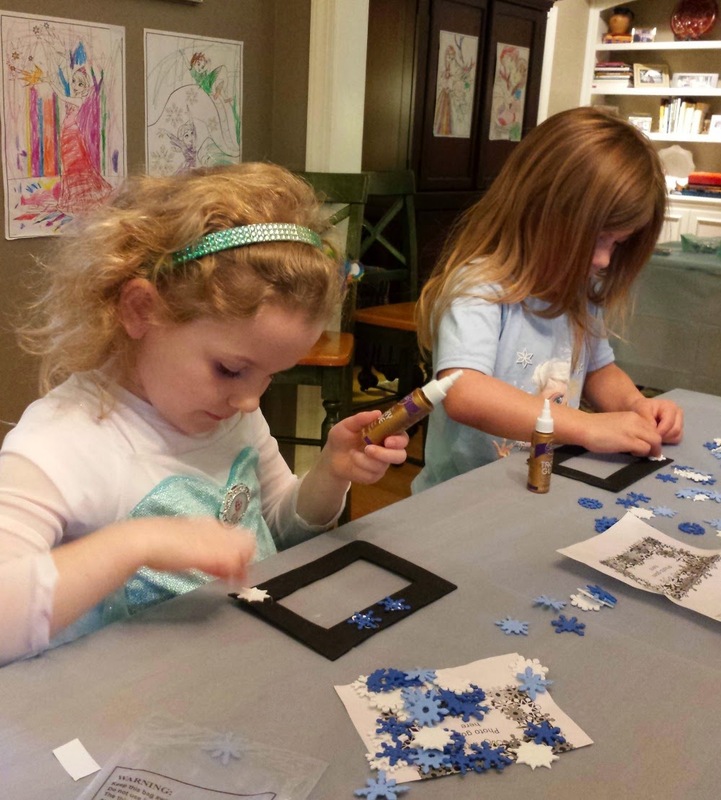 The second craft was making a snowflake magnet picture frame. I bought the kits from Oriental Trading. It was easy, but did require a lot pre-assembling, which Liza was very happy to do. She spent hours the day before the party punching out the snowflakes for each girl's photo frame. Apparently, she likes crafts and didn't seem to mind this daunting task at all. As for me, I spent all of my time on the food. I made snowflake sandwiches using a cookie-cutter. I made three kinds; cheese, laughing cow cheese and cucumber, and ham and cheese. 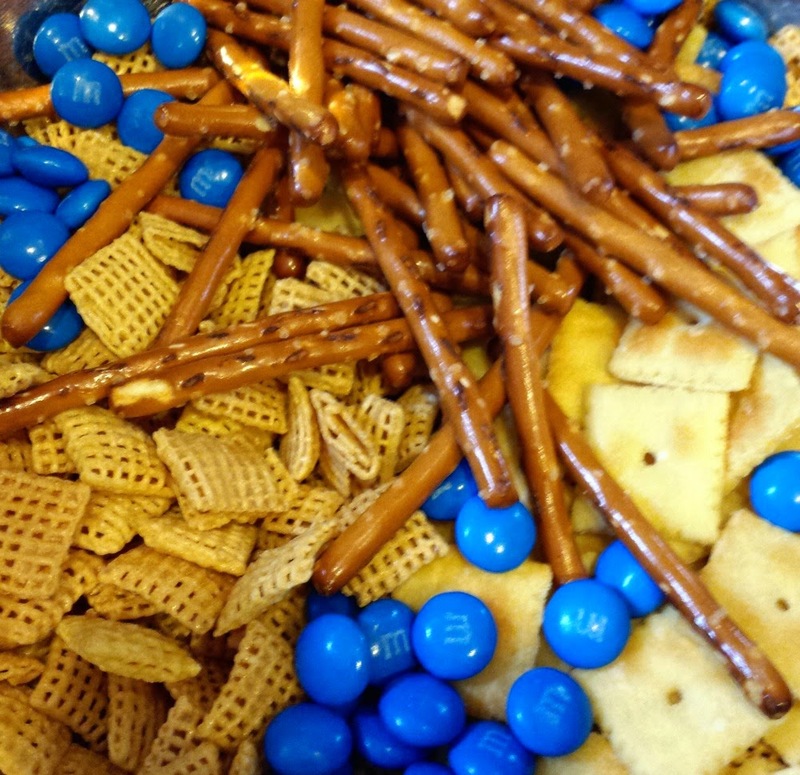 I made a snack-mix using pretzels,white cheddar Cheez-its, honey Chex cereal, and blue M&M candies. 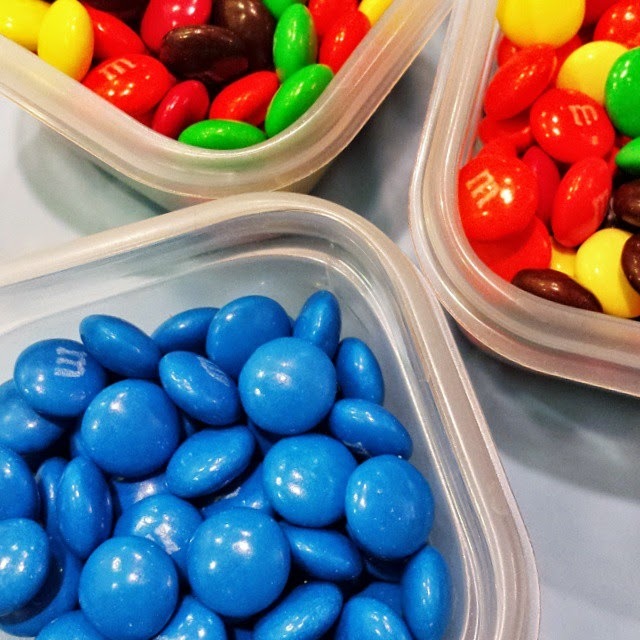 I just bought a large packet of M&M candies, and manually separated the blue ones to use for the mix. Liza complained because I did not use orange Cheez-its so I don't think she ate it. I guess I'll be eating a lot snack mix this month. World Market had white cheese puff winter icicles in stock for the upcoming holiday, I served those along with carrot sticks, and a Greek yogurt dressing made with olive oil, dill week, garlic, salt-pepper mixed up in a food processor. 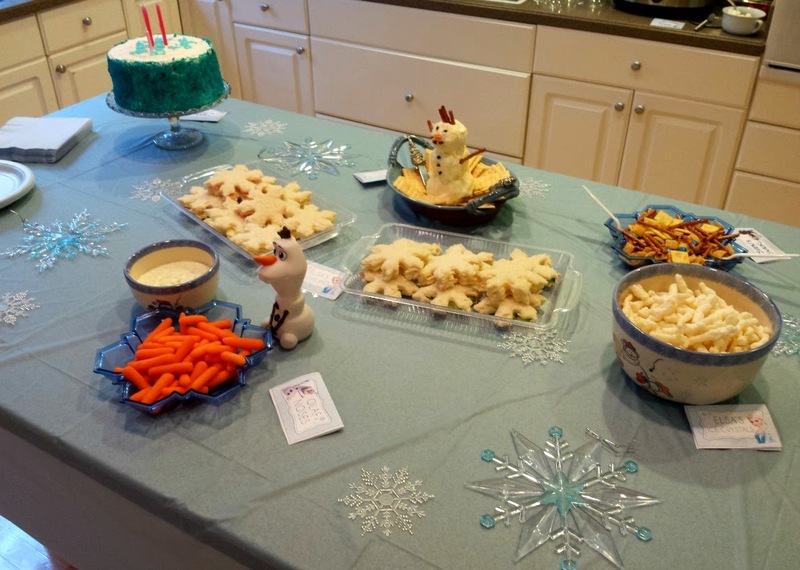 I called the cheese puffs Elsa's icicles and the carrot appetizer, Olaf's Noses. 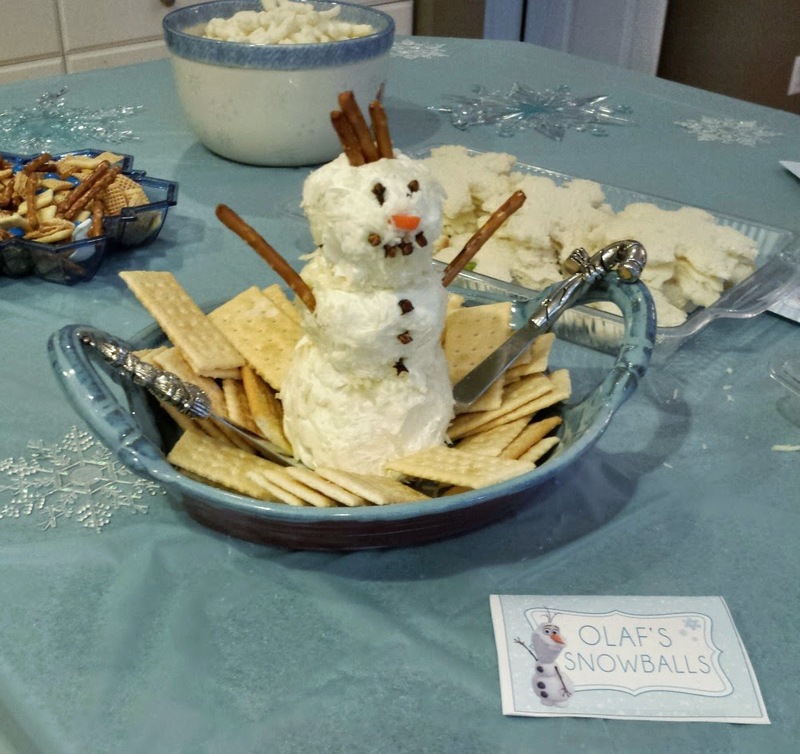 I put together a snowman cheese ball using whole cloves for his eyes, mouth, and buttons. It was just plain cream cheese tossed in parmesan and mozzarella shredded cheese. I cut a piece of carrot for his nose. Everyone loved him, but no one ate him. In my own HinesSight, he was too big. 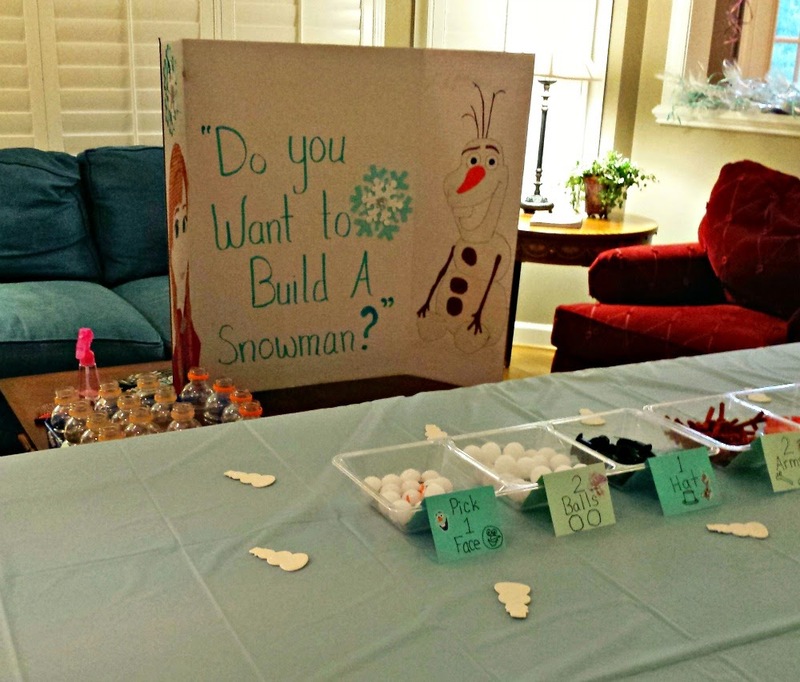 If I were to do it again for the holidays, I would just do the head of a snowman. I would use black olives for the eyes, and raisins for the mouth instead. 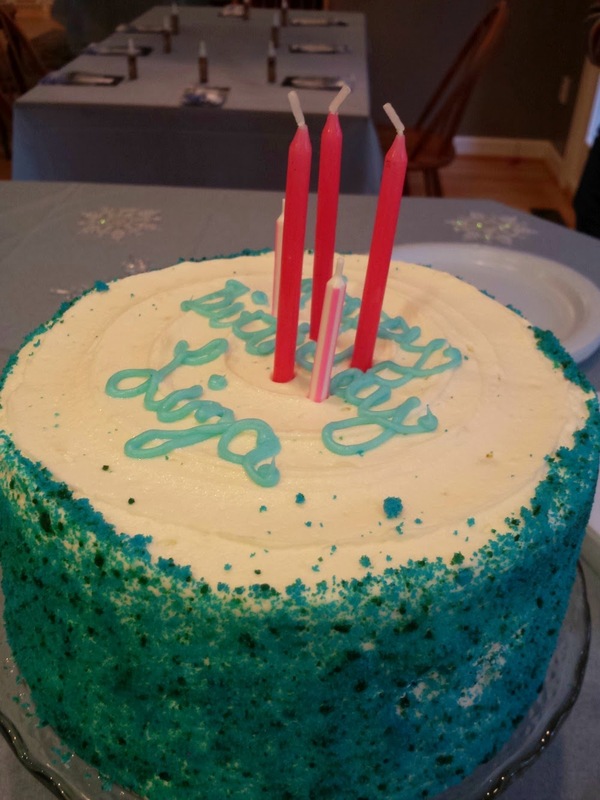 Liza picked the cake. It was a Harris Teeter celebration cake. It cost just $20 and was very tasty. 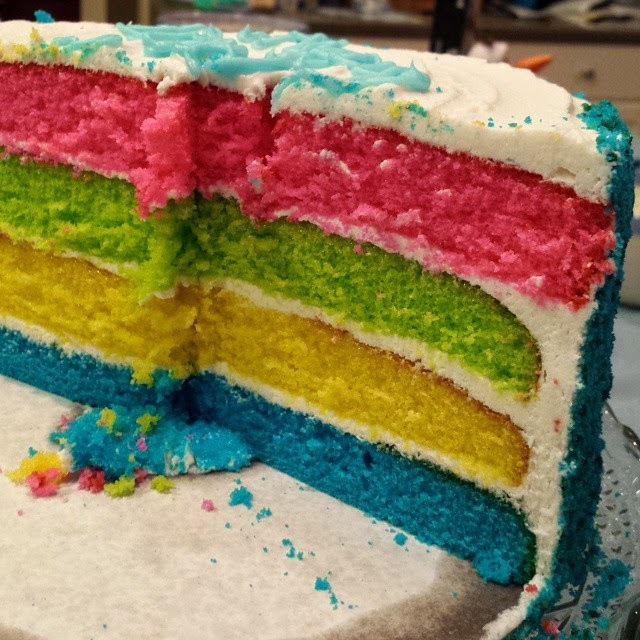 Rainbow-layers on the inside. Every little girl loves a rainbow. Elsa, the snow-queen stopped by for a 30-minute appearance. She was booked through Fairy Tale Dreamer, a children's entertainment company. She was fantastic with the children, and a true highlight. This is a Raleigh-based company, but they travel throughout the state. I think this photo captures the awe that Liza experienced. 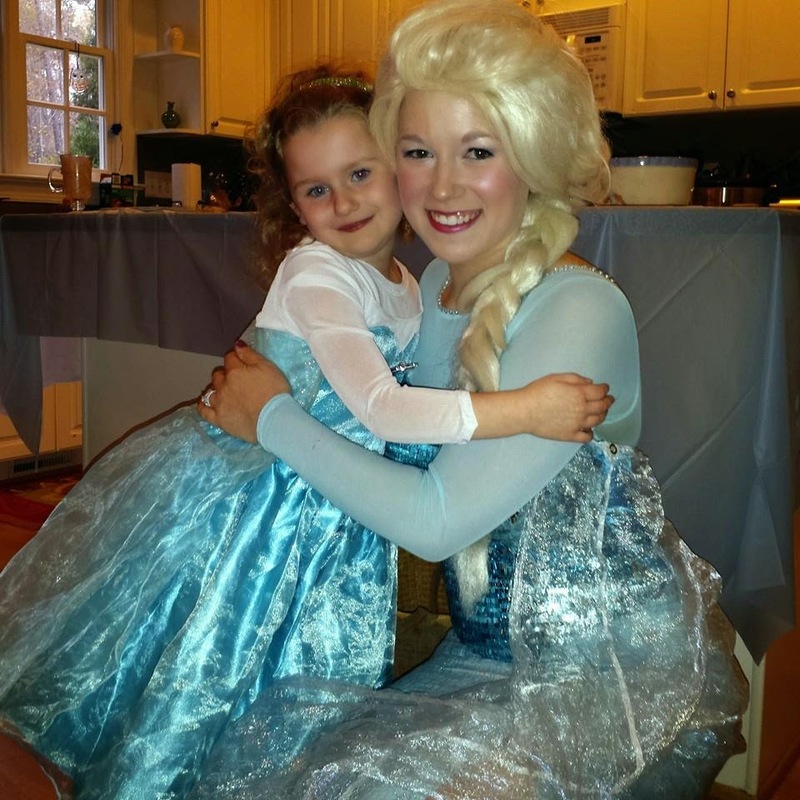 A little girl's dream of Elsa attending her birthday party came true. 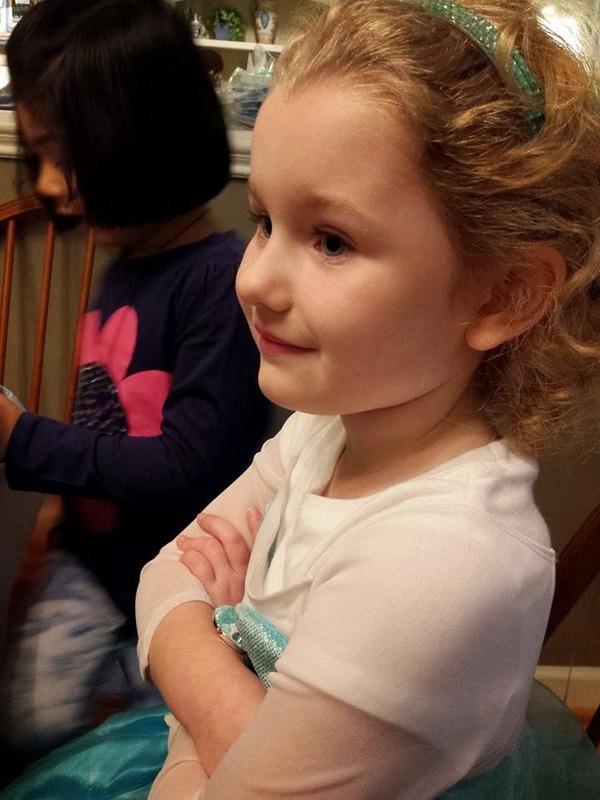 I can't believe she is five. She was one when I started this blog in 2011. 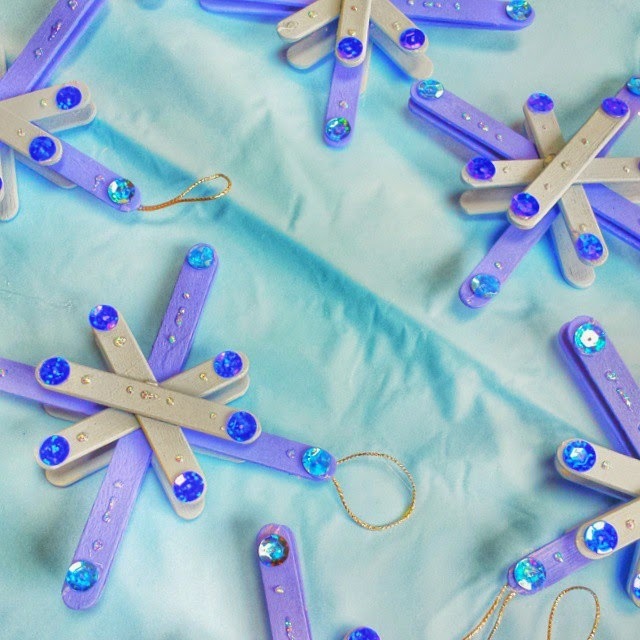 For the gift bags, Beth made snowflake ornaments, and I purchased Frozen bracelets from Learning Express, a local Toy company here in Raleigh. I added Frozen fruit snacks that can be found at any national grocery chain to complete the bag. Disclosure: I have nothing to disclose here except that I am now in party debt, and was a complete mess before this party happened. I had stuff everywhere and stress levels where high. I said that this would be my last party ever at my home, and from this point forward, all birthdays will be trips. That's why I am a travel writer, right? On the day of the party, I was as cool as a cucumber and loved every minute. I even shocked my Mom, who adored my hot cocoa. She asked, "What packet of hot chocolate is this?" I replied, "What? I made this from scratch." I made the hot chocolate in the crockpot from scratch using this recipe from my Pinterest Entertaining board,. I added a little heavy whipping cream to make it my own. The American Girl Experience in Charlotte, N.C. If you followed my travels on Instagram this past weekend then you know I saw quite a bit of "PINK" in Charlotte, N.C. for Liza's 5th birthday. 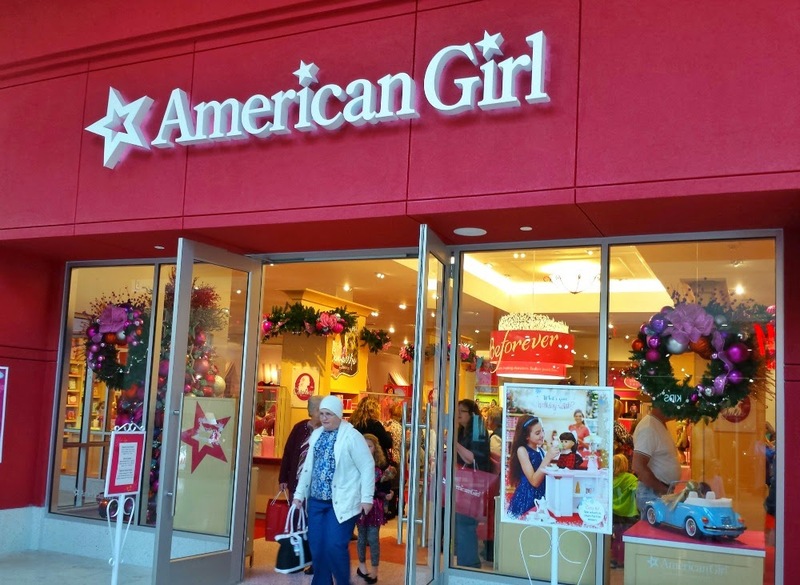 In case you haven't heard, an American Girl store opened at South Park Mall in mid-October. 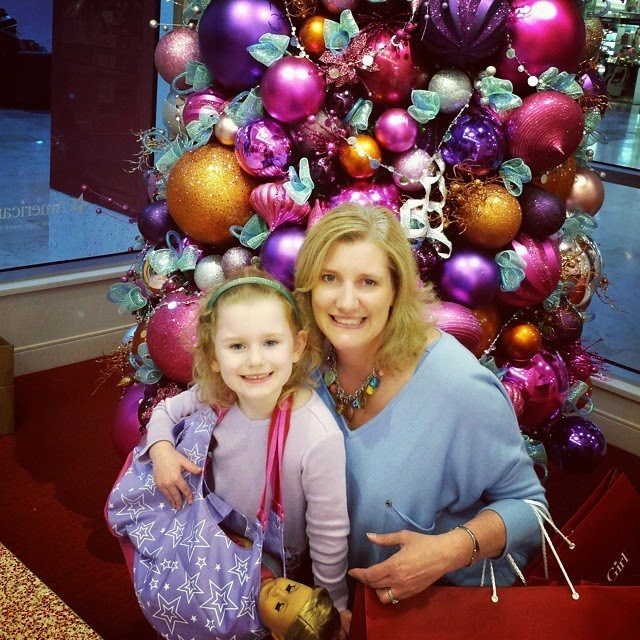 American Girl Store at South Park Mall in Charlotte, N.C. This is huge news for North and South Carolina because before this store opened, Southern residents had to travel quite a ways to get the in-person American Girl doll experience. The closest place was Atlanta or the Washington D.C. area. American Girl Charlotte is the 17th store to open in the U.S. A store in Orlando will be the next store to open. 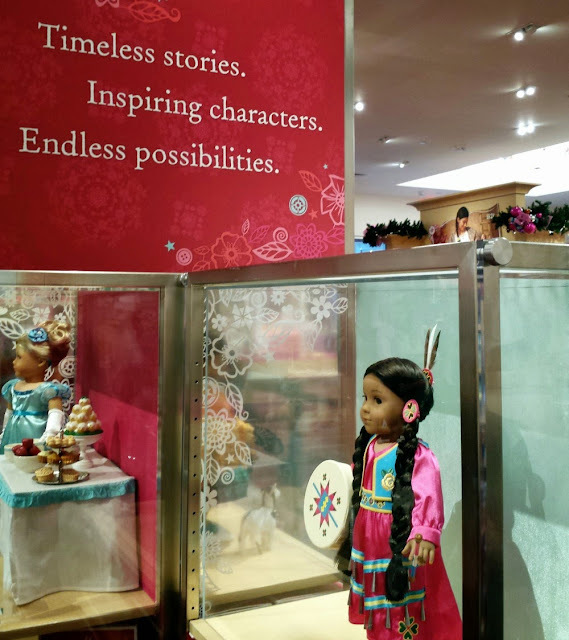 I purposely waited to give Liza an American Girl doll because as a mom who likes to travel, I thought it would be fun to make getting a doll an event. I really thought I would take her to the D.C. area or New York for that first time experience in a few years. However, with the opening of the new Charlotte store coinciding with the timing of her 5th birthday, I decided to make the experience sooner rather than later. Charlotte is an easy three-hour drive from Raleigh and even though one could do the trip in one day, I preferred not to do that. And since you know...I'm all about the hotels, we took the American Girl experience up a notch. 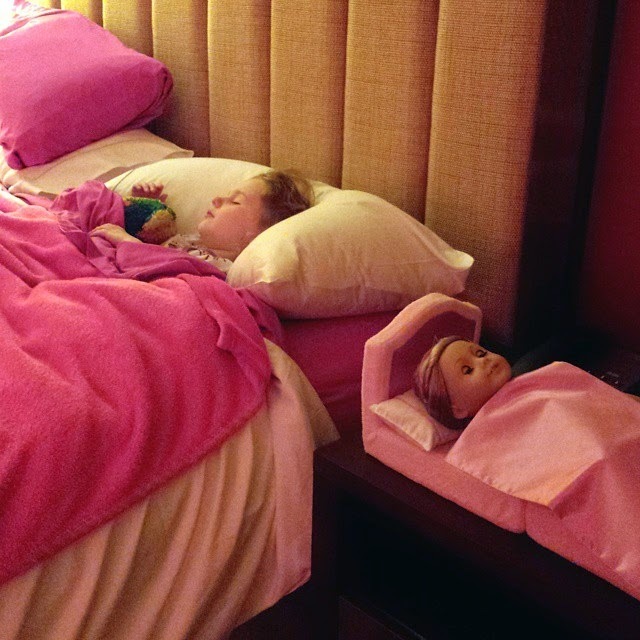 We experienced the Deluxe American Girl package at the Renaissance Charlotte South Park. 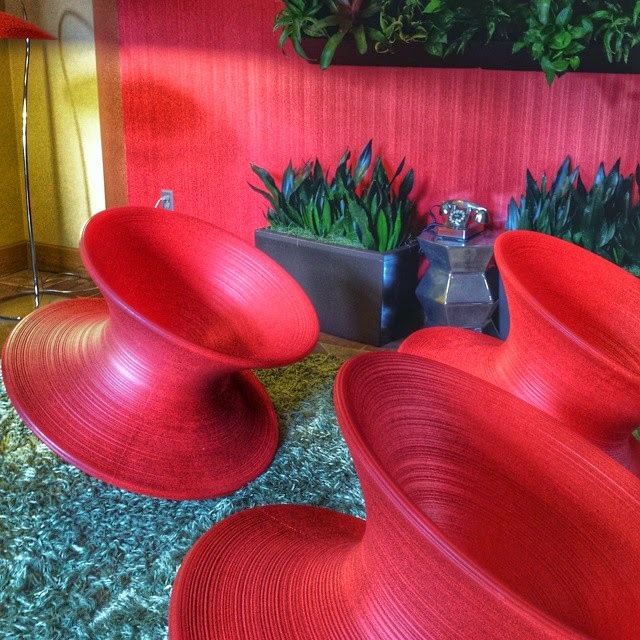 I like Renaissance properties because they are boutique properties, and they have their own personality through decor. 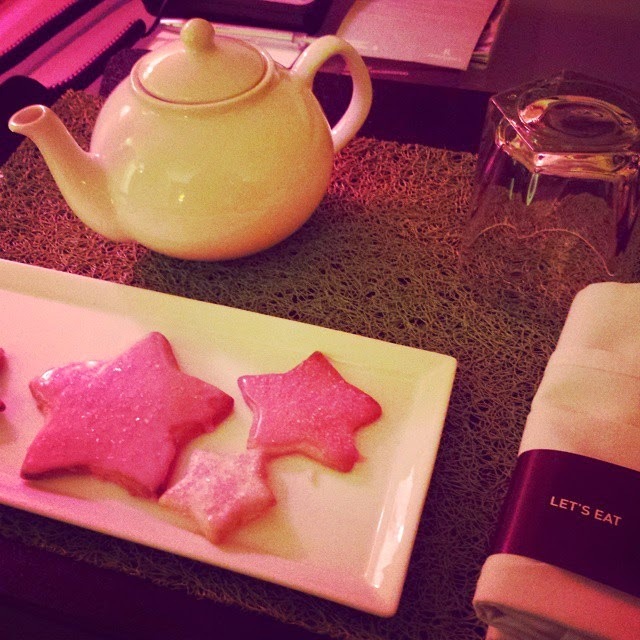 Even though it's an international chain, it doesn't have that cookie-cutter hotel chain feel. That factor is important for me when I choose a hotel experience. The Renaissance Charlotte South Park Hotel is so close to South Park Mall that you could almost walk if you don't mind lugging a bunch of American Girl Doll packages back to the hotel. Seriously, that's how good the location of this hotel is to the mall for shopping. However, finding a parking place at South Park mall can be challenging, based on what I experienced on a Saturday. I recommend splurging on valet parking because I think it would save you lots of parking headaches during the busy holiday season. 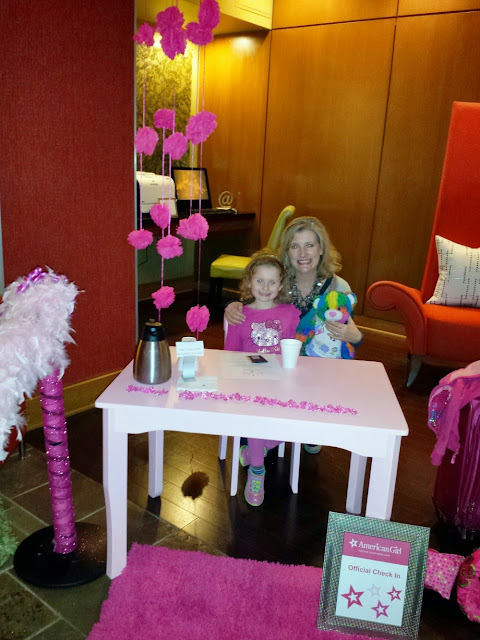 When you book an American Girl package, Renaissance Charlotte South Park makes your little one feel incredibly special. There is a special check-in for little American Girl travelers. 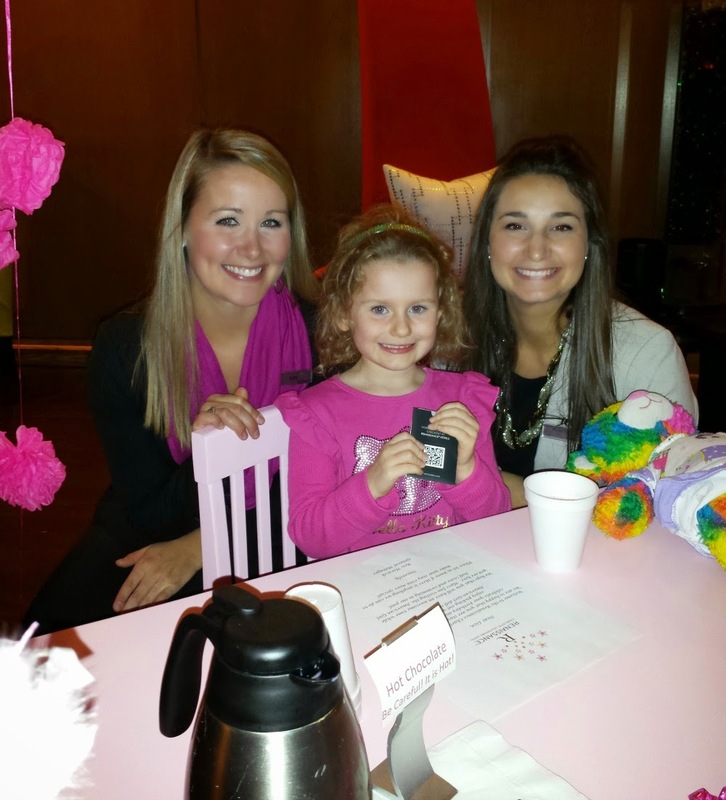 Little guests are offered pink hot chocolate on arrival, a personalized welcome letter from the General Manager, and are issued keys that will open the door to their American Girl hotel experience. With the basic package, priced around $169 for weekends in Nov. and Dec., your little traveler gets the special check-in we received, star pink cookies and milk upon arrival, a doll-sized American Girl bed to take home, and breakfast for 4 people in the hotel restaurant during your stay. 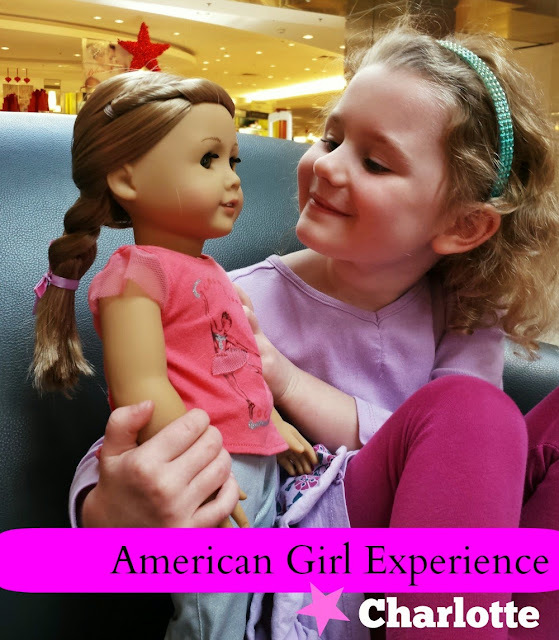 With the Deluxe American Girl Package, starting rates at $194 (average cost for weekend rates in November and December will be about $204 plus tax), you get a brighter, colorful experience. It's the ultimate PINK experience. Let me just say that this pink room wowed Liza, and at one point, she declared it was better than Disney World. Her Dad didn't believe her, and questioned her again. She said, "the rides at Disney were really good, but the room here was better than Disney." The Deluxe American Girl Package includes everything the basic package includes, but consists of a very pink room experience plus a doll-sized robe and slippers to take home in addition to the doll-bed. The hotel really had fun putting this package together, and it shows they went the extra mile. As a travel writer, I am fortunate and get to visit a lot of hotels, many priced way more per night than this experience. I think the Renaissance Charlotte South Park did an outstanding job putting this experience together. It is so worth it. I know some of you may be weighing the cost of the difference between the basic and the deluxe package, and are wondering if going all pink is worth paying extra. My answer is YES! 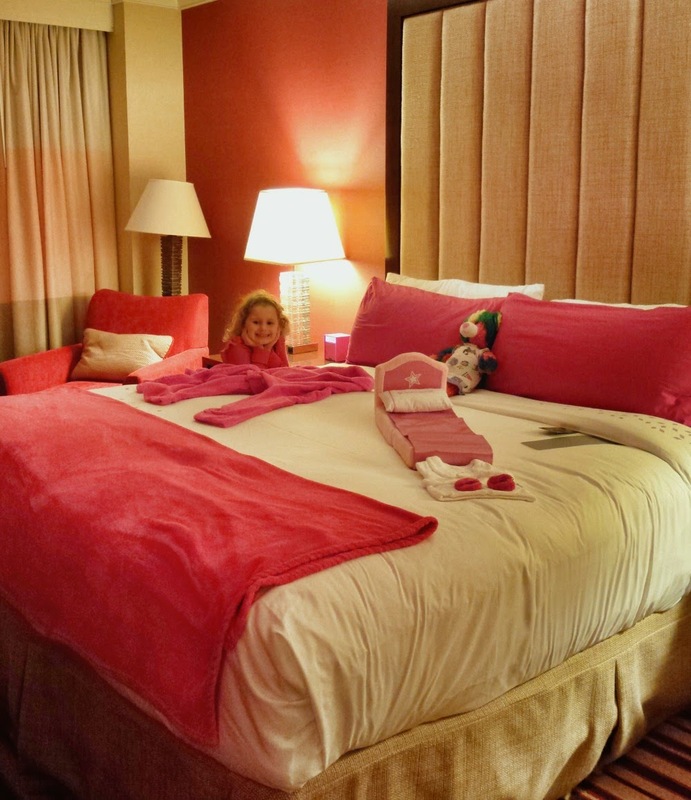 It's certainly nice to get the doll-bed,and cookies in the stay, but the pink room is what Liza is going to remember forever about this experience. Me, too, actually. She's never been to a hotel before with pink touches at every corner. 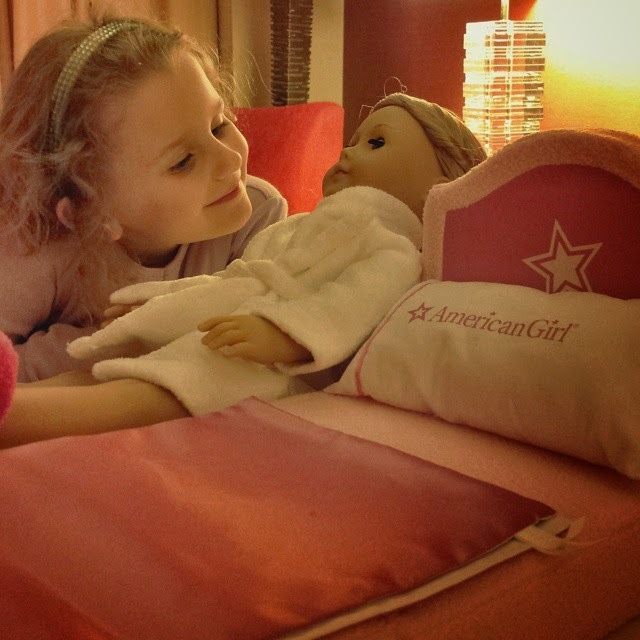 Other Charlotte hotels have also partnered with American Girl to offer official packages. Each one ranges in price, and experience. As the holidays approach, it's only going to get busier in the American Girl store. It's about the size of a large Pottery Barn store, and it can get crowded quickly. We arrived at lunch time and you could barely walk around. It did thin out about 3:00 p.m. though. Charlotte's American Girl store is located near Macy's, but everyone knows that now, so finding a parking space near Macys is difficult. The American Girl Store has a doll salon, so girls are bringing the dolls they've had awhile to get their hair restyled. This means you have customers purchasing new dolls and accessories and customers waiting just for salon services. Prices for salon services range from $10 to $20. The doll can also have spa services, which would include a cleaning. 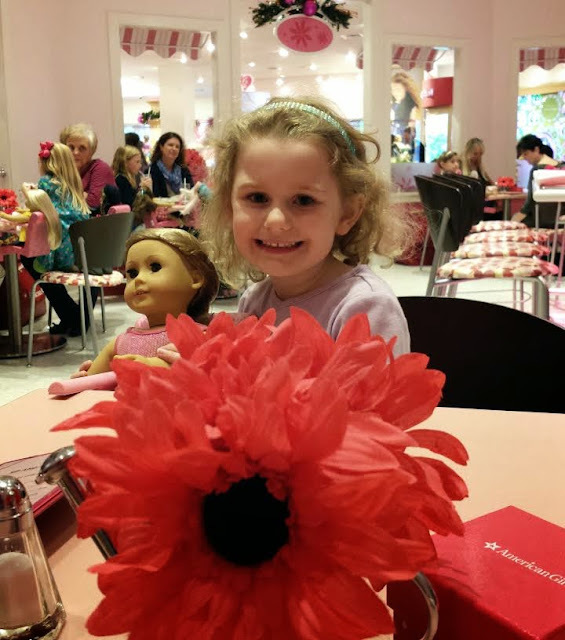 The American Girl Bistro is a must-experience. 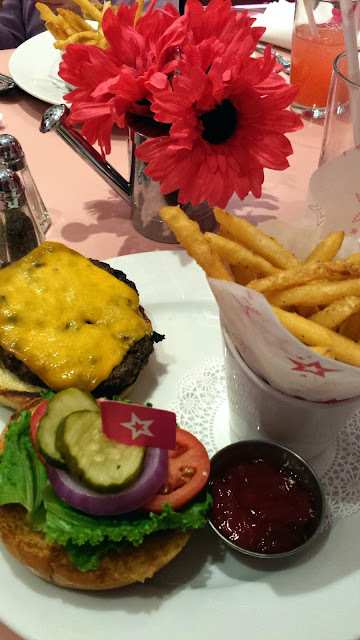 The food is excellent, and I had one of the best burgers I've had in awhile there during a very late lunch at 2:45 p.m. Customer-service is great, and employees make sure your little one and her American Girl Doll have a wonderful experience. The bistro seats just 26 people, therefore, reservations are a must on weekends, or when school is out. If you have younger children not in school, I was told that you may be able to walk-in for lunch during the week. Prices are in-line with high-end chain restaurants. And if you don't own an American Girl Doll, don't worry. Your child won't feel left out dining in the restaurant at all. The bistro offers dolls for little ones to select to dine with them while there. There is no charge for borrowing a doll to dine. I have to honestly say that I've become an American Girl doll fan after this experience. The dolls are designed for girls over the age of eight so I've been helping Liza dress Isabelle, and doing her hair. It's still fun to play with dolls even at the age of 45. To plan your trip to Charlotte, visit CharlottesGotAlot. We think the city does have a lot. You can also book your stay with Renaissance Hotels directly from my website. Be sure to use the promotional code Z74. Disclosure: This media visit was in partnership with Visit Charlotte, Renaissance Charlotte South Park, and American Girl. Our new doll was courtesy of Liza's grandmother, Ha Ha, who likes dolls as well. As with all of my travels, opinions and experiences are my own. IGTRAVELThursday is always the first Thursday of the month. The goal of our community is to promote Instagram as a way to showcase travel. 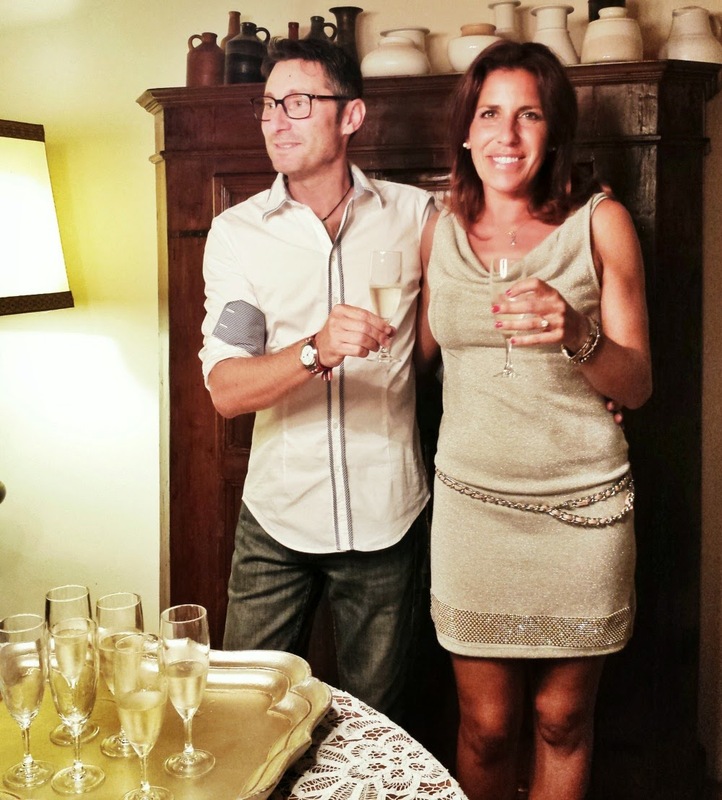 Our November link-up is here so today I'm continuing to share my Italian journey with you. I visited the Marche region in October. After we left Gradara, we drove through the winding hills, which are reminiscent of the Tuscany area, and stopped at the entrance of Tenuta Carlina winery. It was the perfect spot to capture this Italian sunset. Same sunset. Different spot and angle. After seeing something that beautiful, I didn't think it was possible to top the sunset as a highlight of the night. But, I was wrong. We piled into our press van, and drove up the Tenuta Carlini driveway. In the driveway sat a black Spider sports car and a black BMW SUV, parked beside the most gorgeous Italian villa. 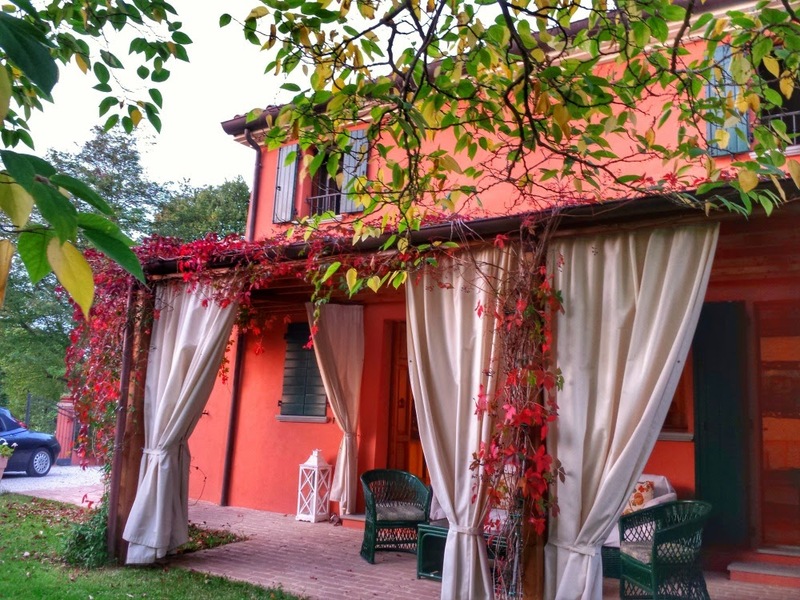 This beautiful, renovated villa is the home to Tenuta Carlini winery, owned by Andrea Carlini, and his wife, Angela Benwi. This gorgeous and chic couple were our hosts for the evening. Tenuta Carlini vineyards sits on 10-acres in the Monte San Bartolo Natural Park in the Marche region of Italy. When Andrea was a university student in the late eighties, he decided to explore Viticulture, where he studied the grapes of an old vineyard. His passion led him to plant new vineyards, using scions of indigenous grapes of old vines, which are still considered the best clones of Sangiovese, Montepulciano and Albanella. The whole process is way over my head, but the bottom line is that the vineyard is small thus allowing a limited production, and the quality is exceptional. The wine is wonderful. Tenuta Carlini is considered to be one of the best wine makers in Central Italy. 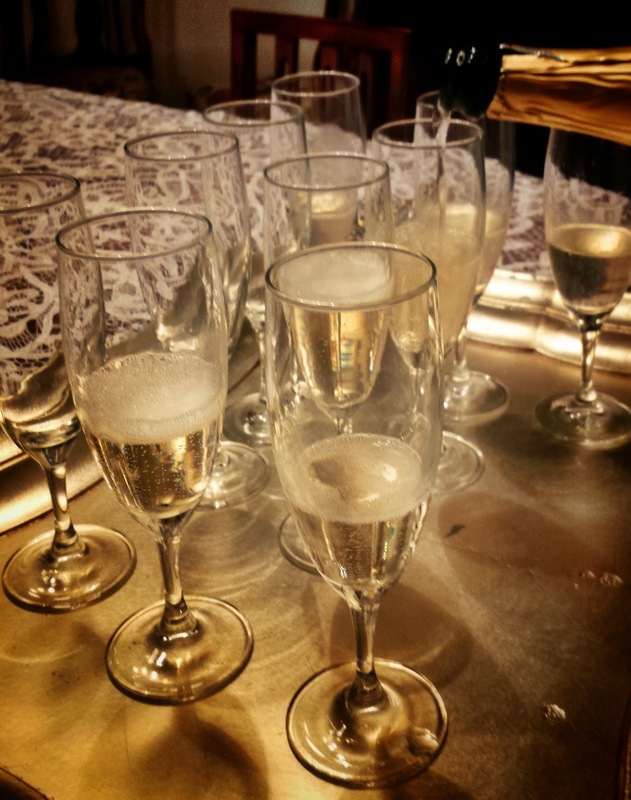 We tasted three wines, and a brut. Andrea made the brut in honor of his wife, who is a professional violinist. 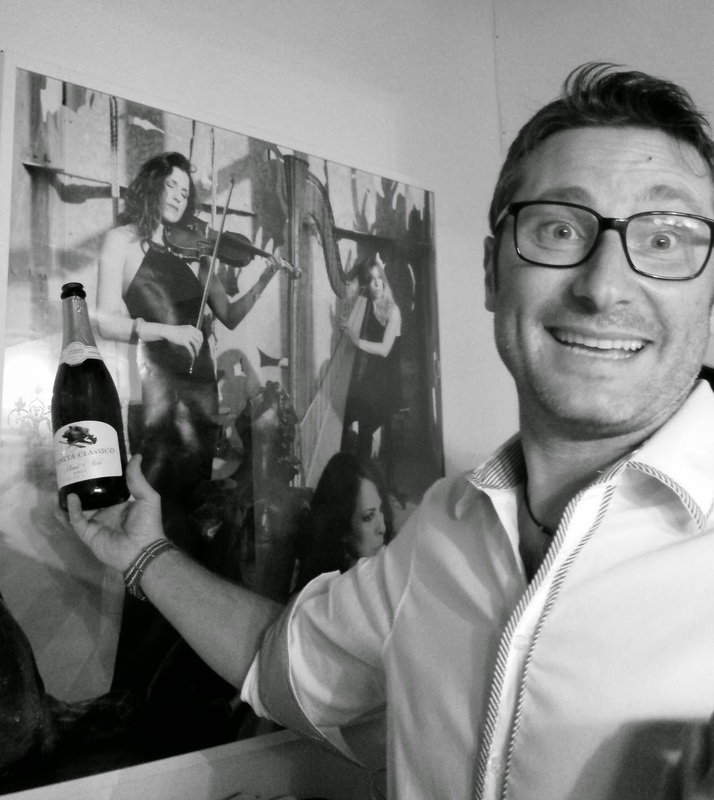 The label showcases a violin and the brut is called Pianeta Classico. His gift was a complete surprise to her. Italians are so romantic. "I have died and gone to Italy heaven. 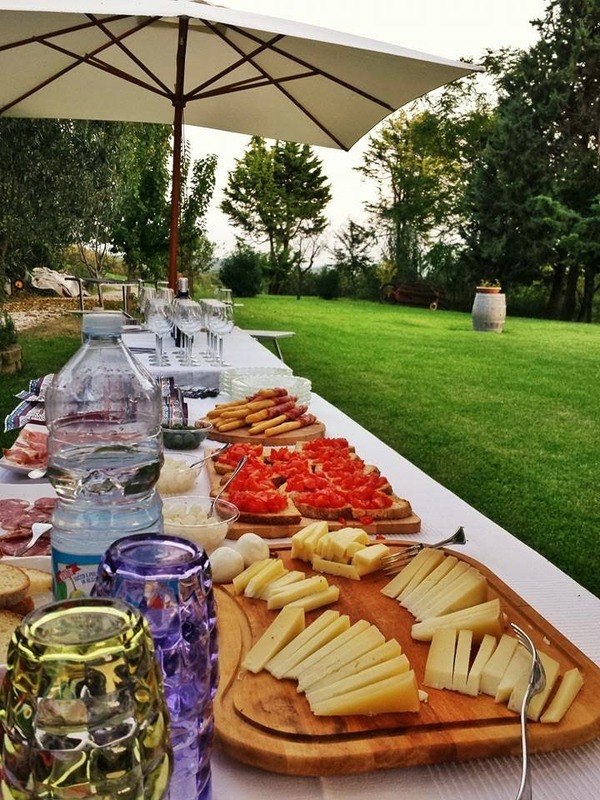 A private wine tasting in Le Marche region. 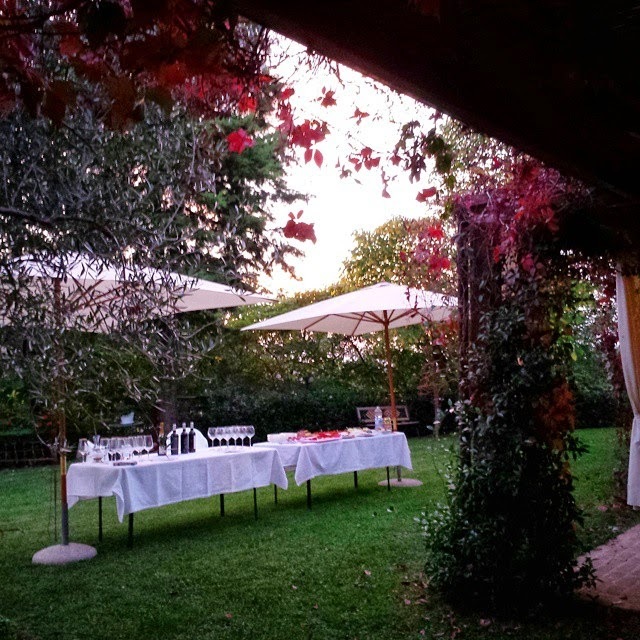 #ilikemarche"
It was a lovely and memorable evening. Bellissimo! Andrea and Angela plan to turn the beautiful villa at the winery into a bed and breakfast in the future as well. We stayed in Hotel Sans Souci in Gabicce Mare on the night we visited the ruins of the San Bartolo National Park, Gradara, and the Tenuta Carlini winery. We had a delightful dinner at Falco Ristorante before returning to our hotel. The next day we checked out, and explored the cities of Pesaro, Fano, and Senigallia. 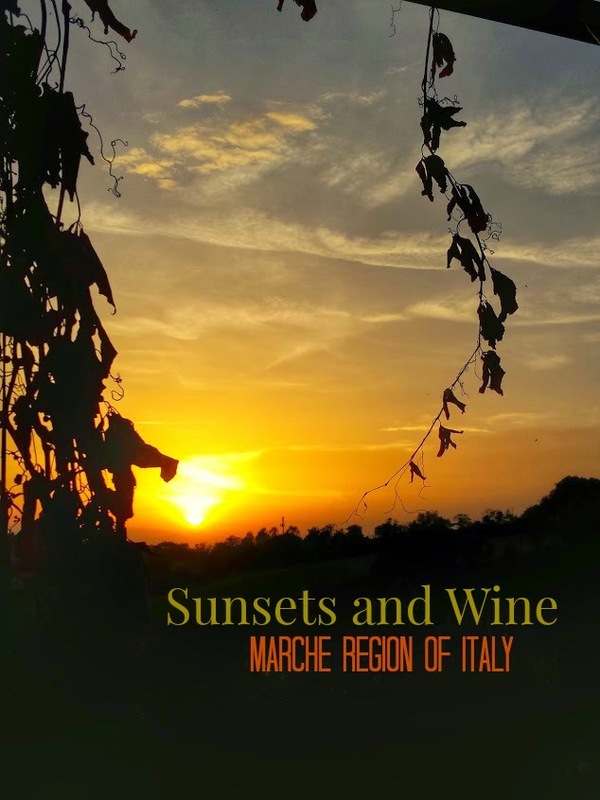 To begin to plan your trip to the Marche region, start by visiting the Discover Marche website. The Le Marche region is diverse, and I have it linked to the area I traveled on this press visit. Disclosure: I was fully-hosted blogger for TBDItaly, and the press trip to this area of Marche was part of my experience.